Today marks 3 years since Braxton’s very first surgery, which was to place his G-tube. Braxton was just 2 weeks old and still in NICU when it was placed. 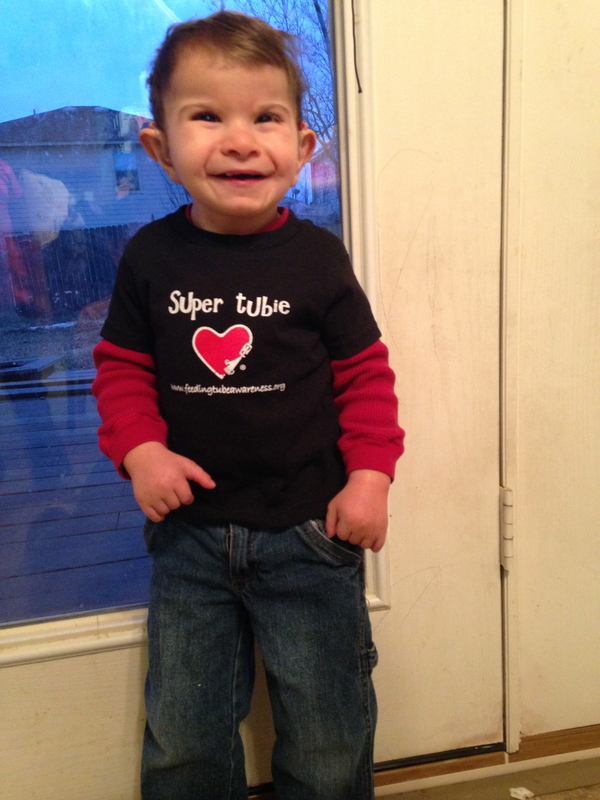 You can read all about the Day Braxton Became a Super Tubie from last year’s post. We have come a very long way in 3 years. I still remember everything about the day we were told he would need a tube and the day of surgery. When his button was first placed, we honestly had no idea how long Braxton would need his tube and the doctors could not provide anything other telling us he would need to have it “long-term.” We have had many struggles with eating over the past few years and we are very grateful that Braxton has had his tube all this time. His tube has allowed us to feed him even when he is sick, give him medicine when needed, and make sure he gets the nutrition he needs to gain weight in a healthy manner. Braxton climbing in to his chair getting ready to eat! Braxton is finally eating by mouth, something we weren’t sure if he’d ever really be able to do. He is eating about 30-40 ounces of pureed foods every day! He gets about 1100-1300 calories per day and we supplement with a multi-vitamin to make sure he is getting everything he needs nutrition wise. We haven’t had to use his tube for food in quite some time, which is a magnificent feat! Braxton even tells us when he is hungry now, which is HUGE for a tube-fed child! Because children with feeding tubes are usually kept on such a strict schedule, they do not know or understand what it means to be hungry. Braxton still does not speak, but he will “tell us” he is hungry by going over to his feeding chair, climbing in, and he will sit there until we notice him. 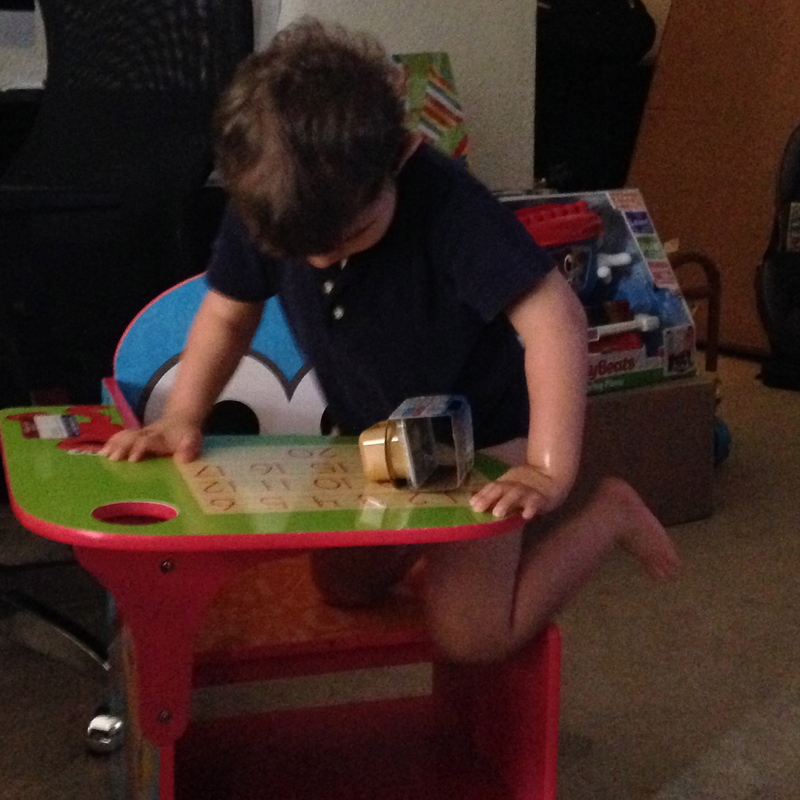 If it’s not quite fast enough for him he will start to whine/cry to let us know “hey! I’m really hungry over here!” He’s eating every 2-3 hours right now and his schedule was every 4 hours before, so he is really understanding what food is and what it means to be hungry. He truly enjoys eating now, and that is fantastic! We still use Braxton’s tube for fluids because he isn’t quite drinking anything by mouth yet. We have been working on straw drinking in therapy and he has drank up to an ounce! We’re working on different flavors and increasing that volume. So, we truly know now that Braxton will not need his tube forever, but it’s still not going to be taken out soon. We want Braxton to be fully drinking on his own and eating “table food” before we remove his tube. We are making significant strides in the right direction. The other day, I saw a post on the Feeding Tube Awareness Foundation’s website about an interview with siblings of children who are tube-fed and found their perspective very interesting! Since special needs and things like tube-feeding really effect the whole family, the FTA group brought in this sibling perspective. This inspired me to talk to Aileen about her brother’s tube and see what she knew and what she thought about his g-tube. I recorded the conversation and thought it would be great to share in honor of his tubie-versary! You must be very proud of both your kids. Aileen is thoughtful, honest and very caring. She’s the perfect big sister for Braxton. Happy Tubie-versary!